It’s always difficult to find new and creative ways to entertain kids at birthday parties and celebrations. It can take a whole lot of planning, funds, and supervision to come up with something new. 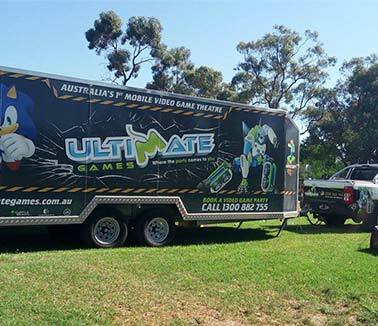 That is, if you haven’t heard of Ultimate Games. We take the hassle out of kid’s birthday party ideas and kid’s birthday party hire. 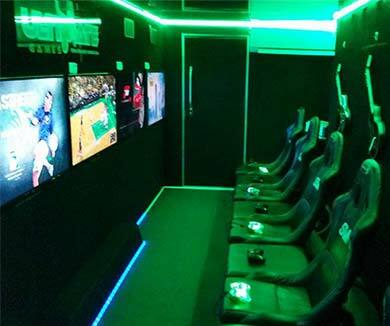 Our trailer comes to you, and then our Game Coaches set everything up, and supervises the kids while you sit back and relax or get in on the action. 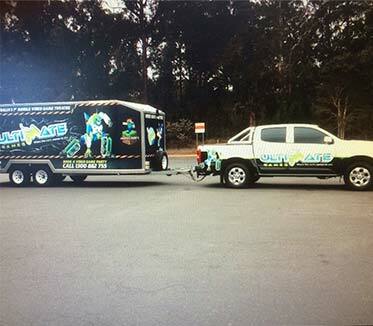 It really is a party on wheels! Your kids will love this fun twist on their favourite pastime and will enjoy playing with or against their friends. 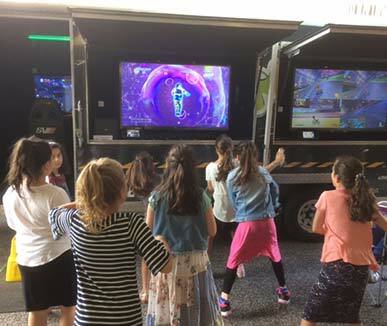 Our trailers allow up to 16 people to play at once! We can also set up team or competition modes for a bit of friendly fun. Many parents ask us about video game ratings and whether they are appropriate for their kids and friends. We ensure that all the games we offer kids parties are appropriate and approved by parents. We have fun options like LEGO and Skylanders and can even create themed parties based on their favourite games! This way everyone can get involved and enjoy. We cater for every skill level and our Game Coaches are there to make sure everyone is having fun and knows what they are doing. 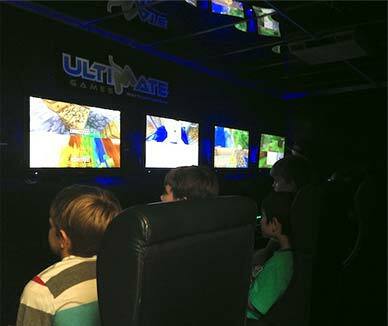 Ultimate Game kids birthday party hire is the easiest way to ensure your kids will have a great time with their friends on their birthday. UP TO 16 PLAYERS AT ONCE!